and then will be released with their teachers to their classrooms. “Let the little children come to me; and do not stop them; for it is such as these that the kingdom of God belongs…And he took them up in his arms, laid his hands on them, and blessed them.” Mark 10:14, 16. Blaine Memorial United Methodist Church’s school is a place where children can experience the love of God that empowers them to learn about their faith and grow closer in their relationship with God. We practice “Safe Sanctuaries” which means that our priority is to create a safe environment physically, emotionally and spiritually through screening and training of all volunteers. For kids up to four years old, Giggles is available every Sunday in the lower floor of the Education Wing from 9:30am to 12:30pm. Arrangements for additional coverage can be coordinated through our Giggles coordinator by contacting the Church Office at 206-723-1536. Children grades Pre-K-5th are invited to participate in Church school during the Summit Worship service at 11:00 am All children will start the morning in worship with their families and then head off to Church school after the children’s sermon. The Church school is located on the lower floor of our education wing. If you need assistance in locating this on our campus, please see an usher and they will be happy to assist you. On joint Service Sundays on the first of each month, children stay in worship and complete pew projects. Joint service Sundays begin at 10am. 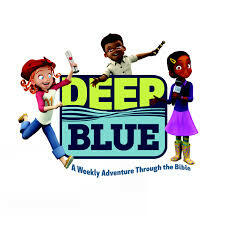 Curriculum: Blaine Memorial Church School has a new curriculum from Cokesbury called Deep Blue. Please check out their website to see great resources for your children and family. In third grade students receive The Adventure Bible (CEB) to read at home with their families and bring to church to use in Church school. Each year the students have one important growth goal. By sixth grade the children have learned the doxology, the Ten Commandments, the Lord’s Prayer, the Sacraments of Communion and Baptism, and the Books of the Bible so they can enter into the next stage of their faith which is being confirmed into the life of the church. Questions? Please contact Associate pastor Dione Corsilles at pastordione.corsilles@gmail.com.